It is a bit clunky, sometimes the updates don't push or show up in the actual CRM which can be frustrating. I think this is pretty new functionality and I'm sure it will improve. Generally Insightly does quite well at moving their product forward. Not enough time to deal with all the systems I'm using. It helps me be more efficient! 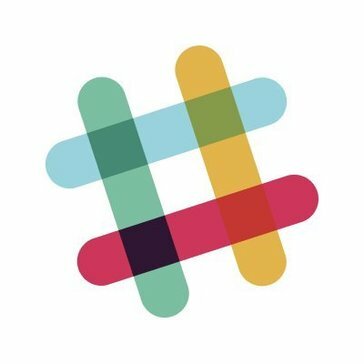 "Insightly Bot + Slack = Match Made in Heaven"
Having Slack and Insightly paired keeps our team accountable to one another and also helps us stay organized better. It's the most efficient way we've seen to keep our communication and our our tasks connected. It seems to work 99% of the time but with all technology, there have been times the bot hasn't responded with Insightly or with Slack and in those times, it's been very frustrating. If you're already using the two platforms, it's a no-brainer! Combining the two will absolutely make your team more efficient. "Not as helpful as I would have hoped"
It couldn't answer more complex questions and couldn't do all of the functionality we would have liked. This may have stemmed from issues with Insightly itself-- we ended up switching to a different CRM because of task manager was not working well enough for us. We were trying to use Insightly to help with our task management and CRM. We were hoping the Bot would make information more easily accessible and keep us updated without having to constantly have the CRM screen open. It wasn't giving us enough information for it to be worth it. We still had to have the CRM window open. "good enough for most scenarios. Smart enough to understand basic complex queries"
The software is able to understand most two-part questions. It has a simple UI and is able to guide the user properly. Easy access to the software and readable. Cant' use the excel export to make my own tasks. * We monitor all Insightly Bot reviews to prevent fraudulent reviews and keep review quality high. We do not post reviews by company employees or direct competitors. Validated reviews require the user to submit a screenshot of the product containing their user ID, in order to verify a user is an actual user of the product. Hi there! Are you looking to implement a solution like Insightly Bot?